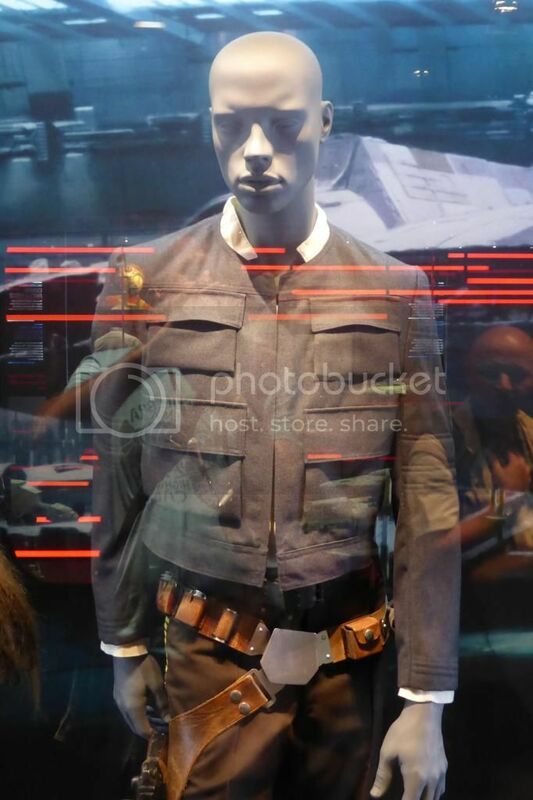 Thought some of you may be interested in Ford's "OTHER" famous jacket, the uber cool cargo pocketted one he wore in Empire Strikes Back. Thoughts in person? Its body is freaking SHORT! Much greyer than the navy tone that it appears in the film. Quite denim-like. Great little ribbings in the sleeves and body that you just don't see on screen. I saw this exhibit when it was in Canada. Lots of very cool stuff but I am certain that this jacket was not screen used partly for the reasons you mentioned but most notably the collar. 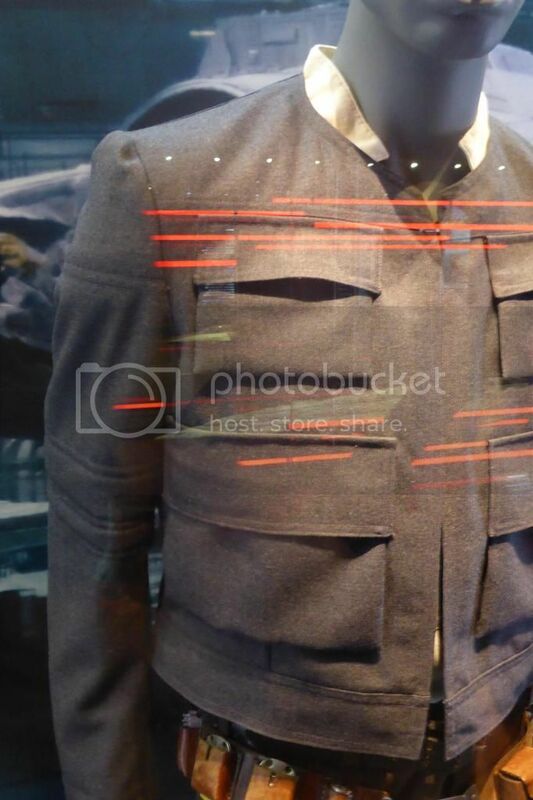 Han's jacket in Empire had a Mandarin collar on it. Also, I may be wrong about this, but going from memory I don't recall the ribbing on the sleeves. I think this may be a prototype. Also I believe that he had a pocket with a flap on one or both sleeves. Edit: yeah, I see the collar difference. 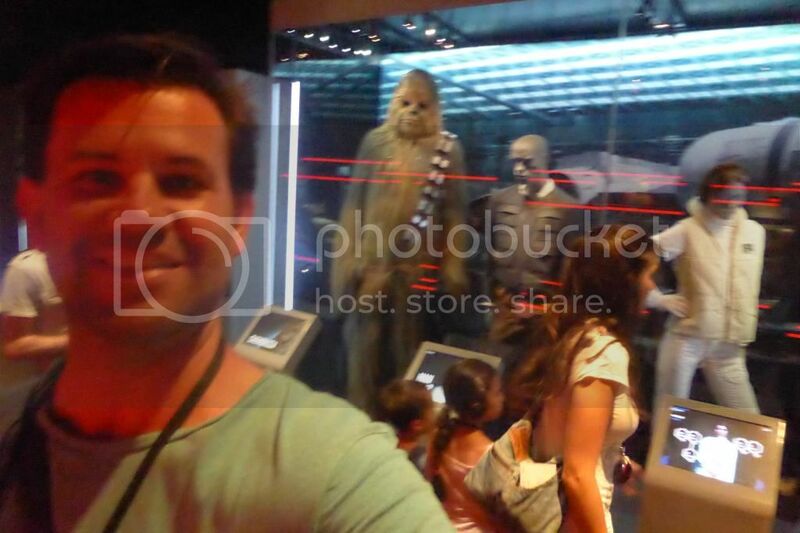 Every other plaque I looked at said the item was screen used, and even gave a context (eg the Kenny Baker R2 from A New Hope or whatever) but I didn't look at all the plaque of this particular display case so couldn't tell you it's background. There was a shoulder pocket on his left sleeve. 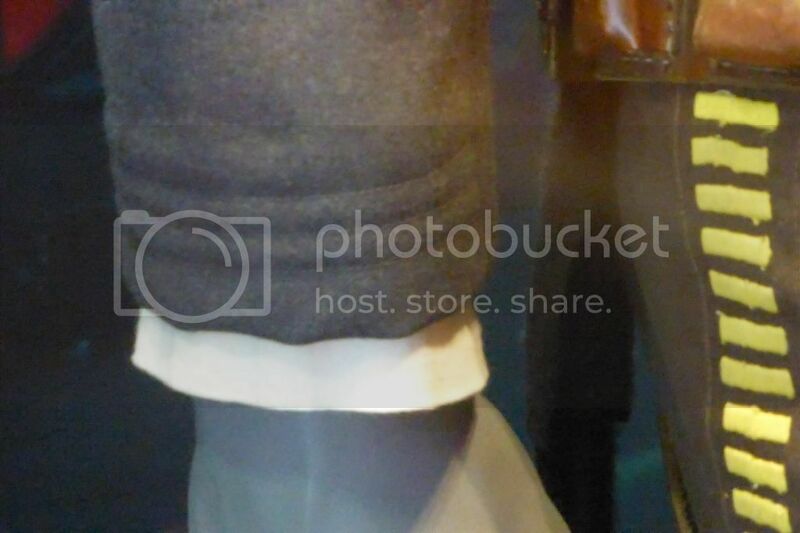 Check my photobucket link for a bunch of detail shots I took. Last edited by Gunslinger; 07-18-2014 at 07:41 PM. Hard to get a clear shot with the reflections. The jacket was the only questionable item for me in the whole exhibit. It immediately didn't look right to me and I suspect by your comments your experience was the same. The Models were awesome and Han in carbonite was very cool as well. The Indy exhibit arrives here in October. I won't be missing that one! Yeah there really was a staggeringly huge amount of cool stuff there.